According to the Indian newspaper The Hindu, Believers’ Church Caarmel Engineering College is closing amid a financial crisis. The news provoked a demonstration at the college on Monday. According to video posted on YouTube earlier this week (and embedded below), the college maintains the school is halting new admissions due to a financial crisis but that current students will be able to finish their programs. There were no promises made going forward. Thus, the future of the school is uncertain. Although I am not sure of the significance of this, the protest was triggered by the institution being excluded from the yearly allotment list published earlier this week. On the contrary, Shri Venkitachalam, the ld.representative for the assessee submitted that both the assessees advanced funds to other registered trusts which have similar objects. According to the ld.representative, the assessee advanced funds to BCMET for construction of hospital building. BCMET is also a registered trust u/s 12AA of the Act. The ld.representative further submitted that Carmel Education Trust also a registered charitable trust u/s 12A of the Act was given funds by the assessee to carry out their charitable activities. This case in itself should help address issues in Murphy v. GFA. In that case, the Murphys assert that GFA didn’t use donations as donors intended. GFA acknowledged as much in their defense against the tax assessor. However, in all of the literature I have read about GFA, I have never read an appeal for donations to the Believers’ Church Medical College or the Caarmel Engineering College. These facilities charge medical fees and tuition. I suspect most GFA donors would be surprised to learn they exist. 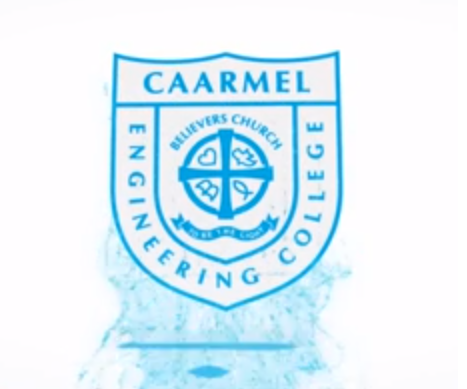 In any case, it appears that Caarmel Engineering College is in some jeopardy. This video shows a vigorous protest and upset crowd over the situation. UPDATE: If I am understanding the English of the speakers in this video, the closure may only be for one class year. The financial crisis may cause the school to fail to begin a class while they may be able to complete the work of classes underway. The situation does seem to be uncertain which has triggered a lack of trust in management. At one point near the end of the video, a student asks why a financial crisis in Believers’ Church should effect the school since the school generates revenue through tuition. With a little more digging, I found this video. At 53:53, a man who appears to represent Believers’ Church stands to read a statement which says essentially that Caarmel will not take new students during the 2018-2019 school year due to a “financial crisis” but the current students will be able to continue their studies.